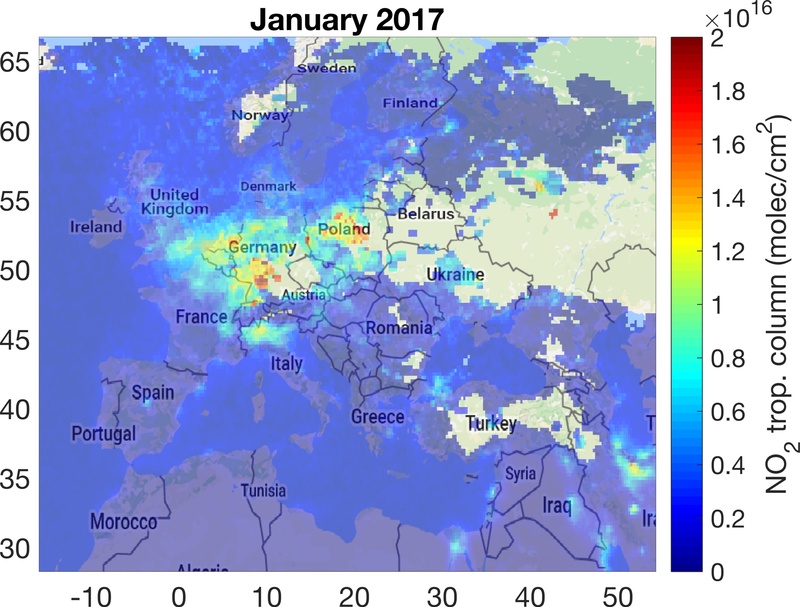 On January 2017 very bad air quality conditions have been experienced over Central Europe. The reasons of such bad air quality levels are related to the weather, which favoured the accumulation of air pollutants in certain areas in Europe. This exceptionally bad air quality conditions were observed also from satellite-based instruments. 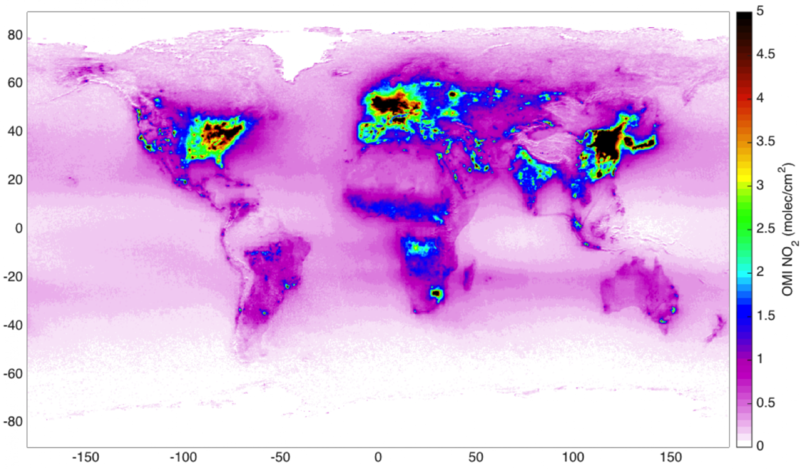 Satellite-based observations offer the unique capabilities to provide air quality information in one simple map. Figure 1 shows the distribution of nitrogen dioxide (NO2) concentrations during January 2017 as seen from satellite-based retrievals. NO2 is a polluting gas, which is produced in combustion processes for example from car traffic, energy production and industrial activities. The yellow-red colors in fig. 1 correspond to the areas mostly affected by bad air quality. The air quality conditions are especially bad in Germany, Poland and the Netherlands, while the pollution levels in Finland remained relatively low. Currently, the Ozone Monitoring Instrument (OMI) provide the best available product for air quality monitoring on global and local scale. The communication office at the Finnish Meteorological Institute (FMI) used satellite data to inform the public about the bad air quality conditions over Europe through FMI website and Twitter account. This is just an example on how satellite data facilitate the communication to the public about air quality issues, using images and visual communication.